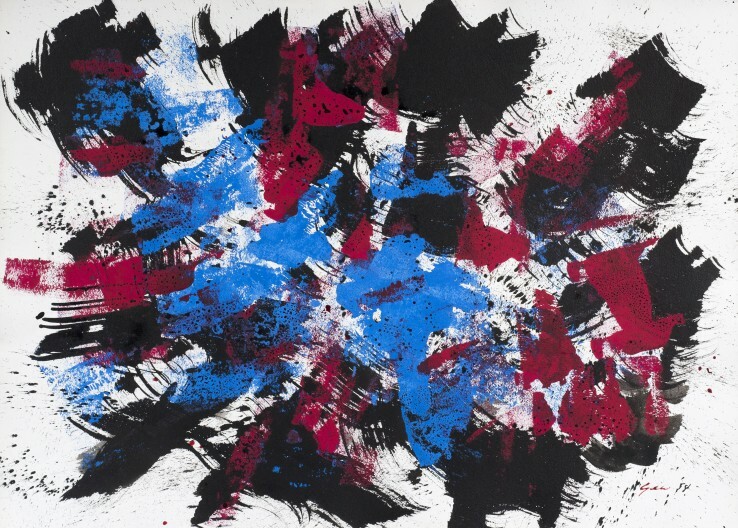 During his three-year residence in Paris (1947-50), William Gear befriended the likes of Karel Appel, Hans Hartung, Eduardo Paolozzi and Pierre Soulages. 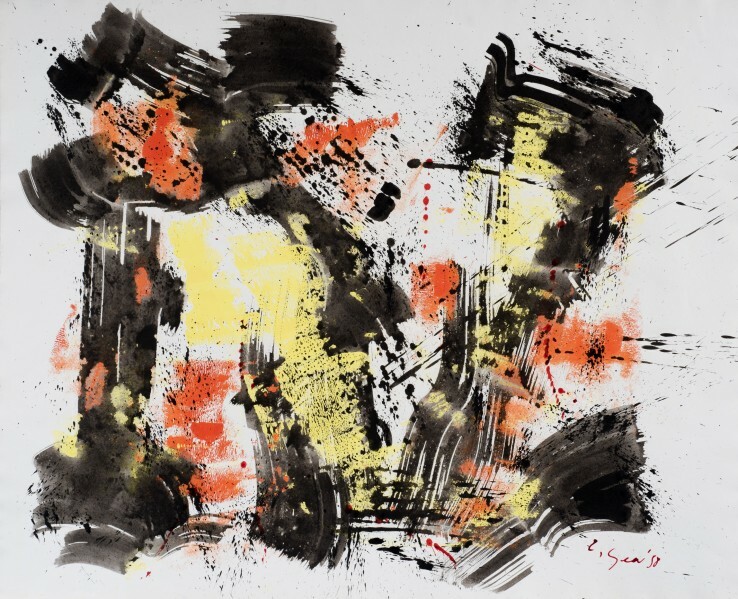 However, it was arguably Nicolas de Staël who had the biggest, albeit somewhat belated, influence on the young painter. 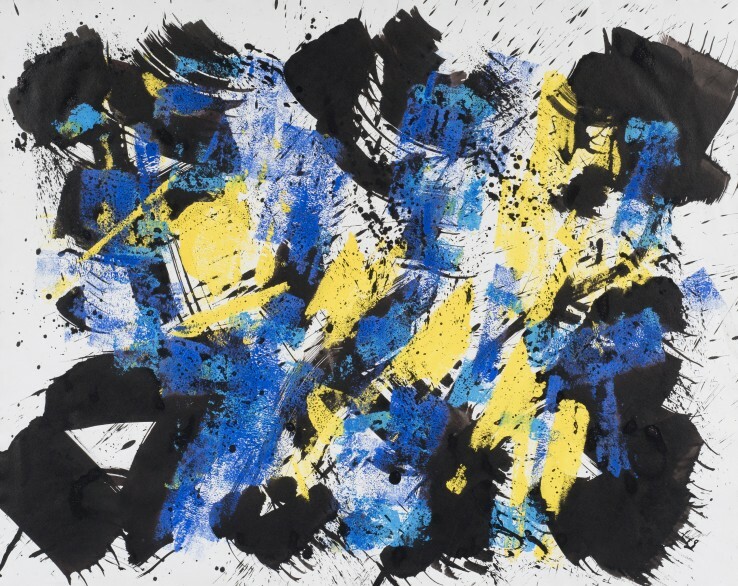 Following de Staël's suicide in 1955, Gear abandoned his current practice – of painting the fragmented fall of light pulsing through foliage – and adopted the late Frenchman’s taste for simplified, impastoed compositions. 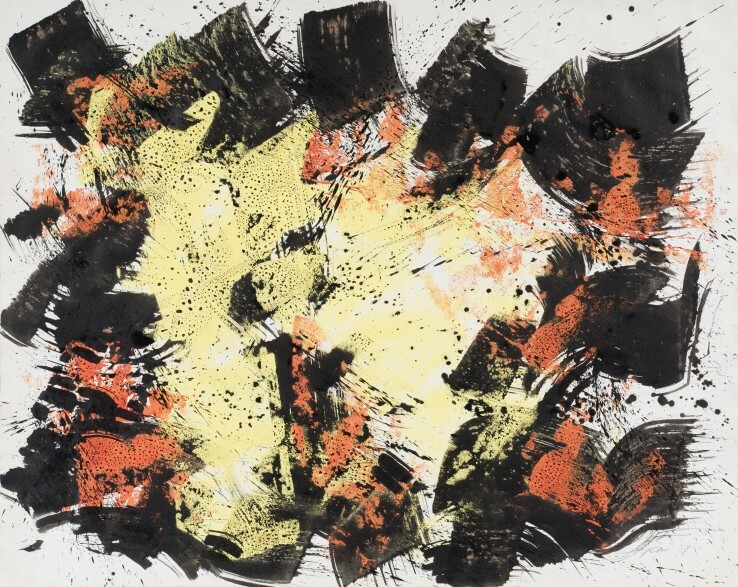 Indeed, Gear became particularly interested in the materiality and application of paint, mixing studio detritus into his pigments, which he scraped and smeared via a palette knife to achieve a dense, encrusted surface. 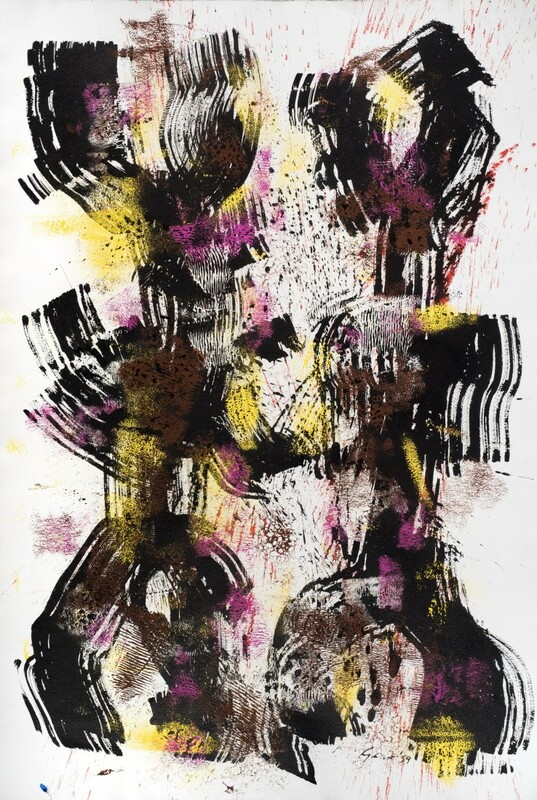 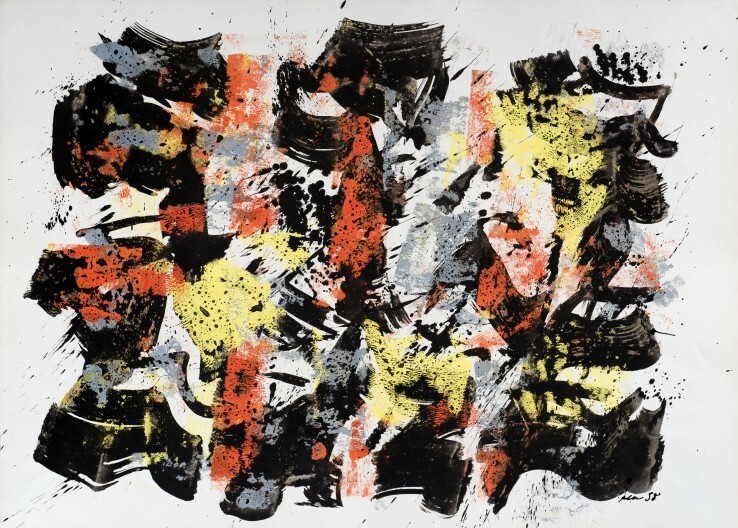 Gear’s subsequent works on paper afforded a far more ambitious and fervent exploration of manipulating technique and texture. 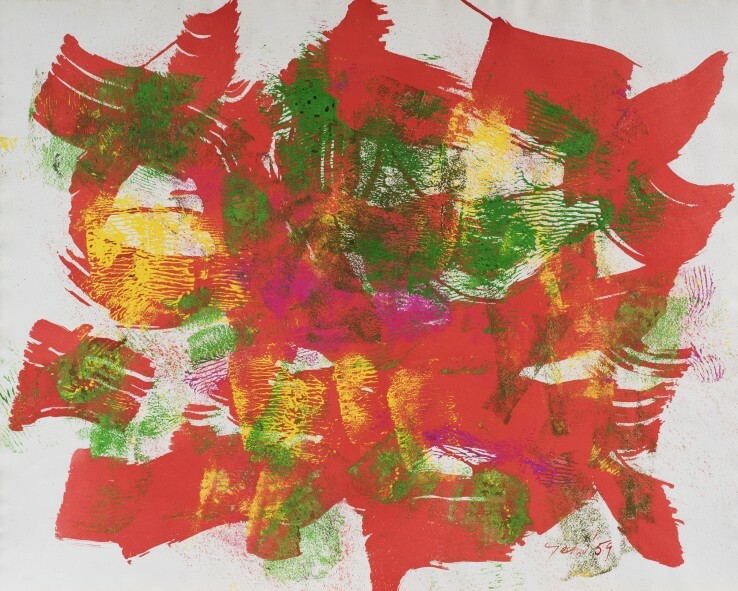 In the early 1960s, for example, Gear used an array of different brushes, as well as decorators’ rollers and bathroom sponges to create innovative ways of applying acrylic, a media that was new to British artists at this time. 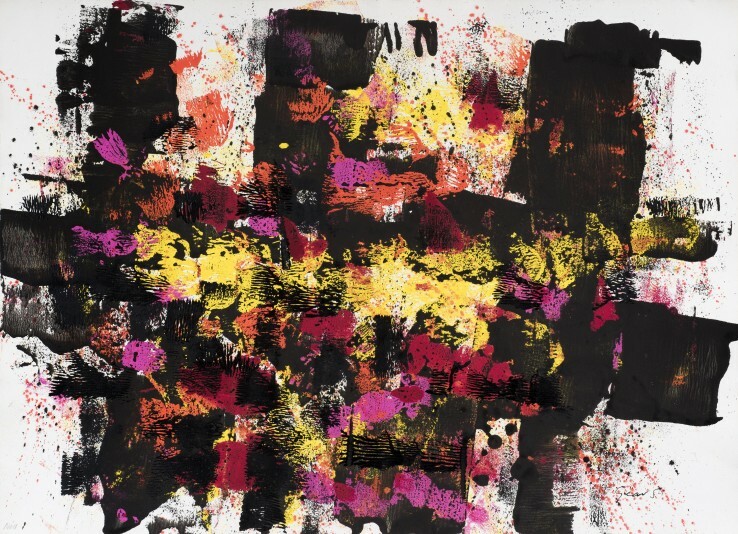 The present series of works, completed from 1957 to 1959, are particularly notable for the dripping of paint, reminiscent of Jackson Pollock, with whom Gear shared an exhibition at the Betty Parsons Gallery in New York, 1949. 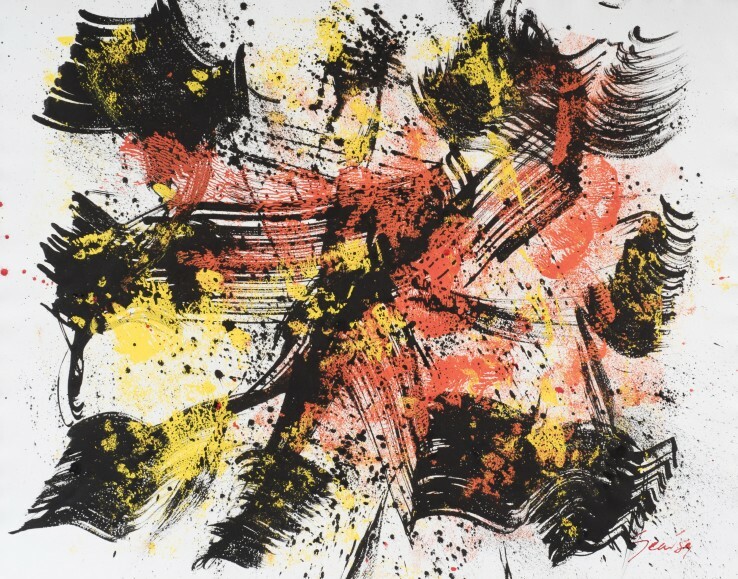 The technique of squirting paint directly onto the paper also preempts the acclaimed wallpaper designs Gear produced in the early 1960s. 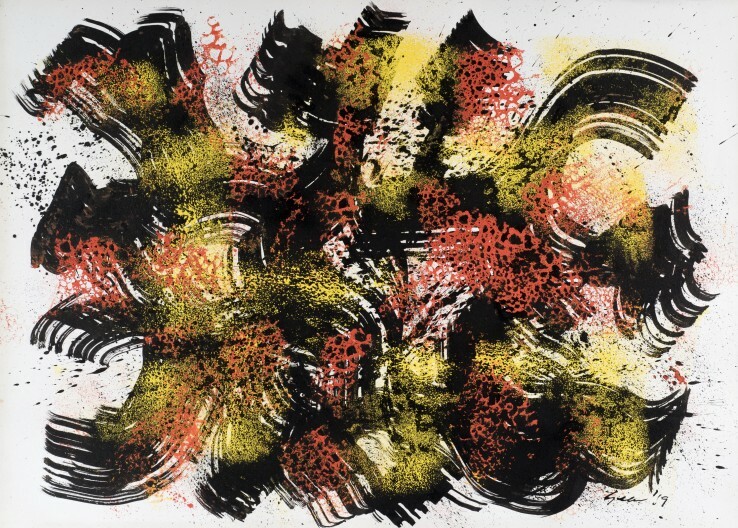 Alternating between different media (of gouache, inks and acrylic), Gear uses these works to examine how each reacts to the paper, and to one another, when applied with diverse utensils and in heavier quantities. 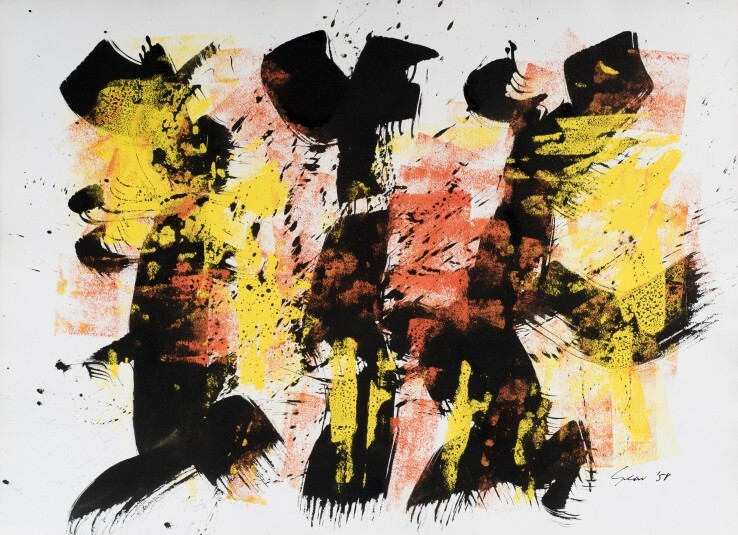 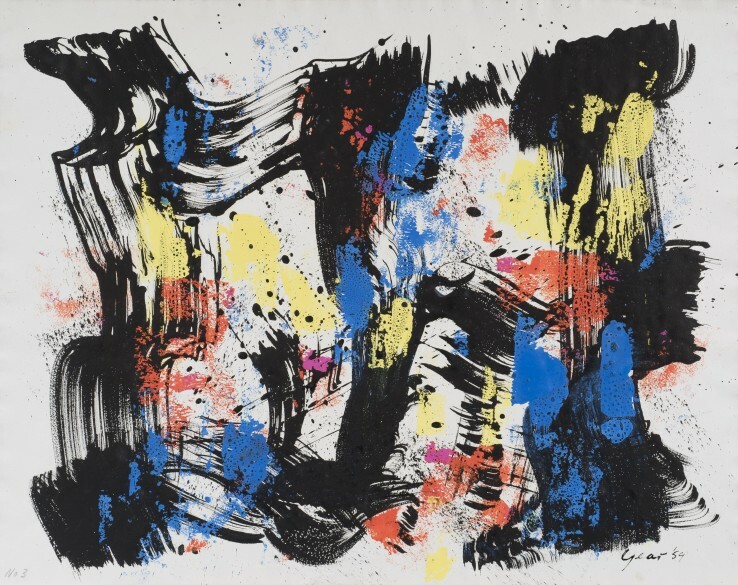 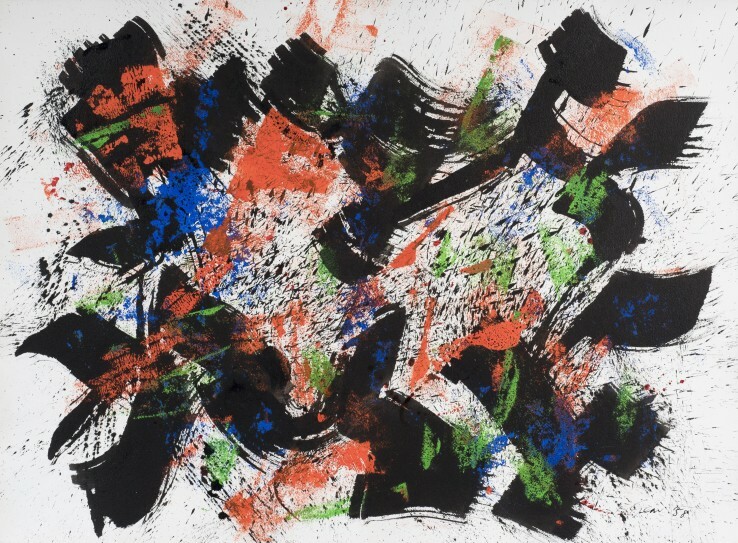 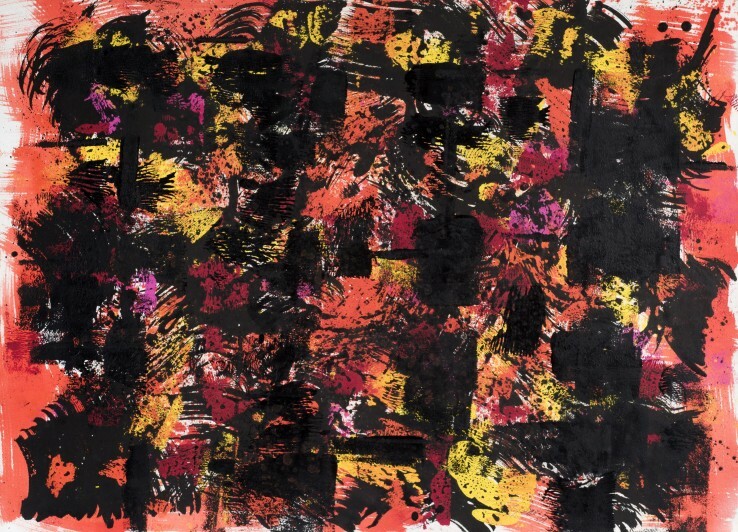 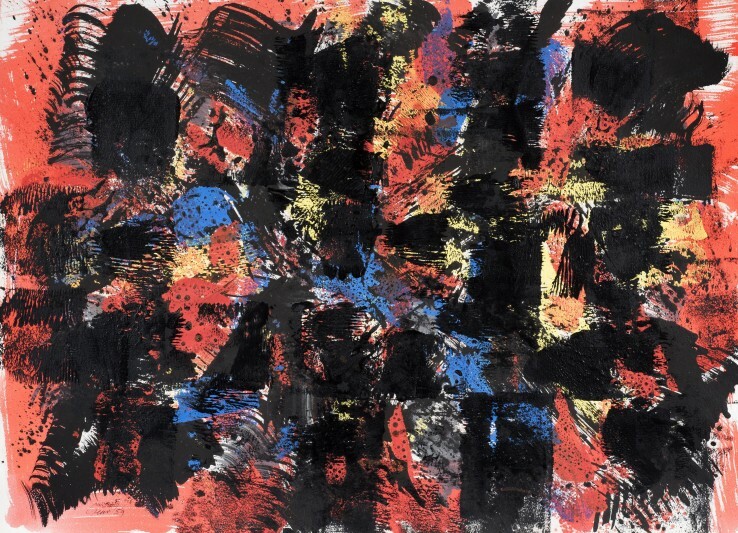 The sweeping strokes and spontaneous spatters give rhythmic energy to the works, and call to mind his CoBrA contemporaries such as Appel, Constant and Corneille, with whom he exhibited numerous times throughout 1949. 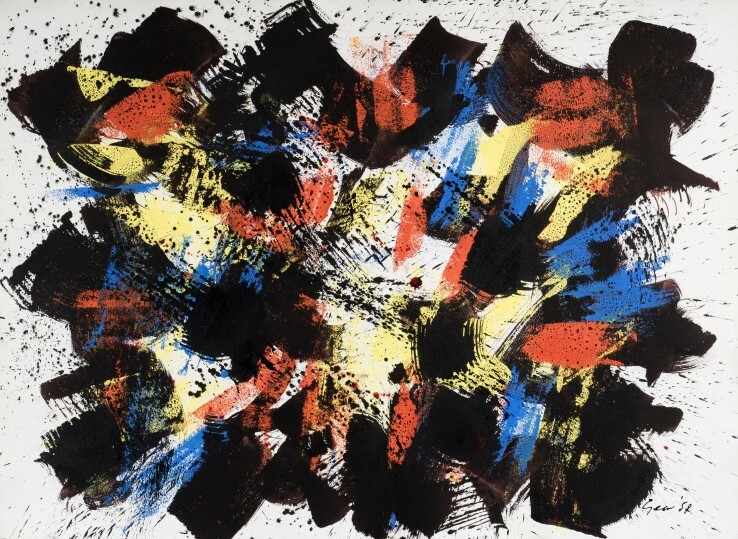 Indeed, Gear felt his ‘CoBrA’ oils – of interlocking triangles painted in bold primary colours – were too considered to fit comfortably with the movement, and they certainly lack the impulse of these later works on paper. 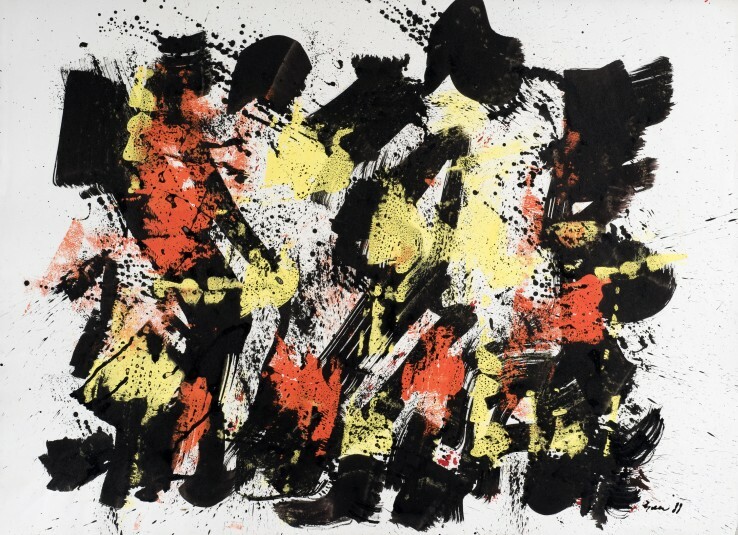 Such work also coincided with a looser, gestural approach to his oils – the hard-edged abstractions of the mid-50s were now replaced by paintings such as White Presence, White Feature and Black Presence on Yellow. 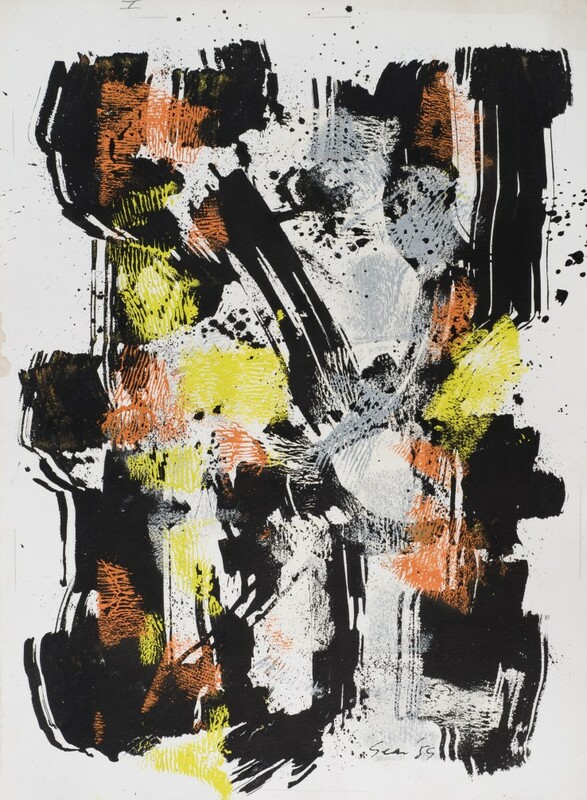 Furthermore, these works on paper are important in that they are underpinned by black vertical structures, which were about to play a vital part in Gear’s paintings of the 1960s. 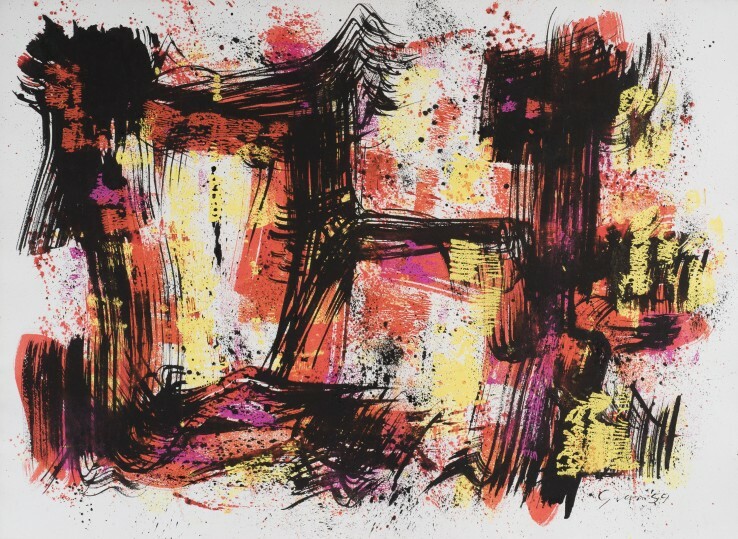 Private exploratory studies, these appear never to have been exhibited during Gear’s lifetime.